Home » Blog » What Does Internachi Certified Home Inpector Mean? What Does Internachi Certified Home Inpector Mean? You have decided that a home inspection is in your near future, and you realize that is the smart move — the money-saving move. Naturally, you want a trained, experienced eye to evaluate your property and apprise you of any issues with the structure. Since you are visiting our website, you are likely either purchasing a home or planning to sell your home and are doing your homework before making a final commitment. Perhaps you already own the property and want to be sure you are maintaining all aspects of your current home. KDG Home Inspections can help you with all of these.Perhaps you have already learned that home inspection in Wisconsin is supervised by the Department of Regulation and Licensing. It is for the consumers’ protection that Home Inspectors are licensed by the state. 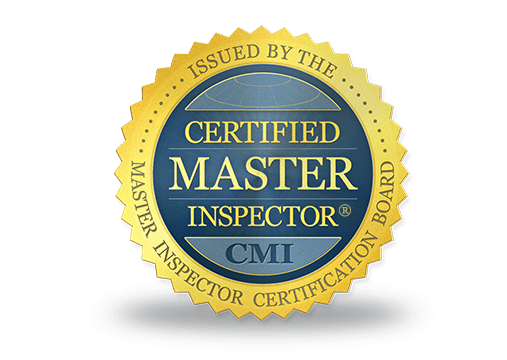 While state certification is good, it is just the first step in becoming a top-notch Home Inspector. 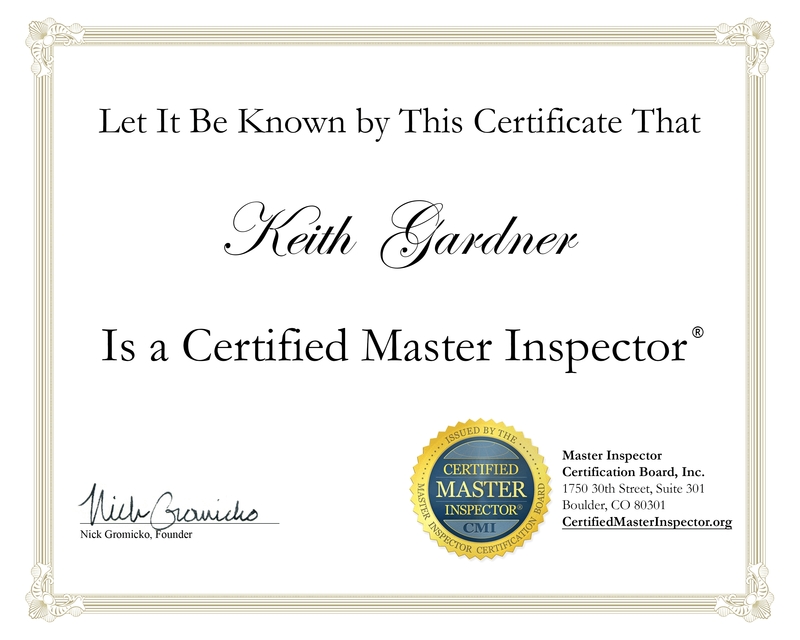 On this site, you will discover that I am also an “InterNACHI Certified Home Inspector.” I am proud of my association with the International Home Inspectors Inc., also known as InterNACHI. It is the largest professional association for home inspectors and has stringent requirements for membership. InterNACHI is a non-profit organization based here in the United States. Its members number about 50,000 and are located in all 50 states, Canada, and at least 65 other countries. Each of us is an entrepreneur striving to be the best in our field. InterNACHI helps us achieve and maintain a professional edge that gets us talked about — in a good way. Members of this premier organization are required to adhere to InterNACHI’s strict Standards of Practice and Code of Ethics. To join InterNACHI, a home inspector can’t just go online, log in and pay dues. In order to become a member of this prestigious organization, an inspector must pass exams, demonstrate on-the-job expertise by submitting five home inspections for grading by InterNACHI personnel, and must continue his/her education in order to provide clients with always-improving, superior home-inspection service. Imagine how much things have changed in home construction products from the time the historic home you are purchasing was built. Its plumbing may be decades old. To properly evaluate such a home, an inspector must be highly trained, skilled and experienced. InterNACHI gives me that. Even if a house is just a couple of decades old, problems have had time to develop. Training and experience are your best chance of getting a valuable assessment of any issues with this property. Here, too, InterNACHI has polished my skills to help me give you the most informative report on which to base your decisions. So, whether you are buying and want to avoid expensive, unforeseen problems or are selling and want to fix problem areas before listing the property, a thorough home inspection can save you time and money. A reliable assessment of your property requires the services of a highly trained, experienced professional. A Home Inspector’s membership in InterNACHI assures you that the inspector is serious about professionalism — both in the technical aspects needed to do the job and in operating a business with the highest ethics. We at KDG consider ethics and our reputation particularly important as our clients are not just professional acquaintances but friends and neighbors here in Southeast Wisconsin. To maintain a good reputation in business, an inspector must provide clients with the highest-quality work. To do that, he/she must keep abreast of new developments and technology. My membership in InterNACHI assists with that. A major service provided by InterNACHI for its members is continuing education. Among the areas the site offers instruction in are structural problems, how to inspect plumbing, roofing and electrical installations and Radon and Mold certifications. In addition to knowledge and experience, a Home Inspector must be safety conscious. As a state licensed fire inspector, I am especially focused on possible hazards that can harm you and your family that many other inspection companies would not make you aware of. When considering which Home Inspector to hire, ask each one you interview about his experience, training and professional memberships. You will also want to know what is included in the inspections and how long it will take. Inspection times will vary with the size and condition of the property and most residential inspections take between 1 ½ to 2 hours of your time if you would like to attend. Once you have researched thoroughly, we at KDG Home Inspections believe you will decide that we are the resource in Wisconsin that can best inspect your property and provide you with the tools you need to make an informed decision. Call and let’s talk about your property.